In many rural areas, a basic technological lifeline that most Californians take for granted is missing: Accessible broadband service. According to a recent California Public Utilities Commission report, the state’s 98 percent broadband access goal for households has been met, but only an estimated 47 percent of households in rural areas have broadband access at speeds considered by government regulators to be adequate. This sparse broadband landscape can be attributed largely to the rugged terrains, remote locations and small populations of rural areas. These physical and demographic challenges can create higher costs of deployment, often leaving private providers reluctant to invest in highspeed broadband infrastructure in many communities. Broadband touches every aspect of life. Yet, in many places, rural residents who do not have broadband cannot tap basic resources such as medical records, educational services, career training, and financial tools. Functioning in the modern marketplace without adequate broadband can be a significant difficulty for businesses and commercial enterprises in rural communities. Governments struggle to provide public services such as emergency and disaster response. And farmers cannot take advantage of technological innovations to manage soils, water and crops. Elevate Rural CA has identified this digital desert as an important “solution space” for improving economic, community and relational life within rural California. This effort represents a modern-day corollary to the Rural Electrification Administration’s success in bringing electricity to rural areas after the Great Depression, which brought profound economic growth for the nation. Similarly, finding a solution to providing broadband access in rural California offers the promise of lifting up businesses and residents, connecting people across sectors and regions of the state, and creating prosperity for all. The effort can benefit the entire state. The internet is the operational epicenter for business, governments, education information, and services. When broadband service is missing, it is difficult to move the goods and services of the digital marketplace among urban and rural regions. It can impede emergency aid and mutual assistance to communities during disasters. Travelers can be dissuaded from visiting rural vacation destinations. And rural businesses are unable to grow, creating lost opportunity for the overall economy. Since the inception of broadband, rural areas have been left behind – either as “unserved” areas with no access at all, or “underserved” areas where access is available only through costly options, at slow speeds, or through mobile devices. While mobile devices can provide internet access in rural areas, this is not considered a substitute for adequate broadband access because of limited ability to tap online services, tools and information. Speed is a consideration also. In many places, even where broadband is available, it operates at speeds too slow to download or upload documents or to be able to navigate the web easily or conduct commercial activities. Additionally, in rural areas, which often have higher rates of poverty than the rest of the state, affordability can be a barrier to household adoption of broadband when it is available. 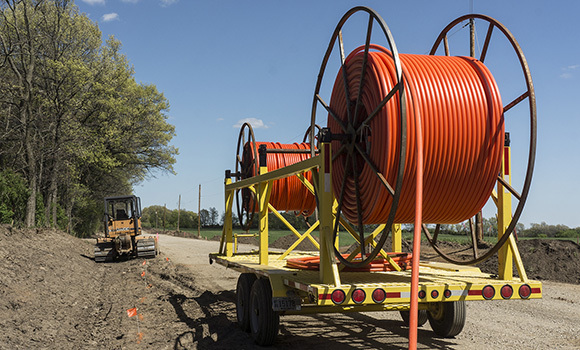 For many years, California has taken steps to address these gaps, including through programs that provide funding and encourage formation of strategic partnerships to expand broadband availability in rural areas. Yet, the divide persists. Highspeed, ubiquitous broadband is critical infrastructure to compete in the modern economy. Rural areas cannot afford to be without such access. For this reason, the Elevate Rural CA initiative has identified broadband access as one of three key focus areas for targeted economic development activities, along with addressing forest resiliency and water infrastructure needs. Forging stronger relationships between urban and rural areas lies at the core of these initiatives. The challenging broadband conditions in rural California stand as an important opportunity for connecting diverse economies, regions and people of this state and will be addressed at the 2018 California Economic Summit on November 15-16 in Santa Rosa.